This style is part of the Papillio Collection. Do your summer style right in the Daytona slide from Birkenstock®. Printed Birko-Flor™ upper is made of acrylic and polyamide felt fibers to create a soft fabric that looks and feels like leather or nubuck. 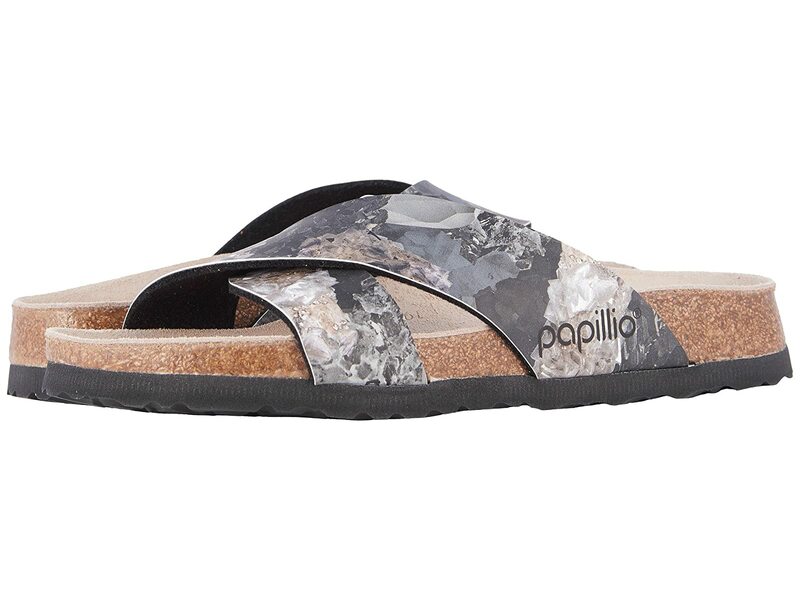 Features an anatomically correct cork and latex footbed for all-day comfort and support.